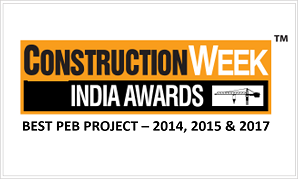 Kirby India has been awarded with the prestigious Construction Week India Awards in 2014, 2015 & 2017 for the ‘PEB (Pre-Engineered Building) Project of the Year’. The award was given for Mahindra & Mahindra tractor manufacturing facility in 2013, JK Tyre & Industries tyre manufacturing facility in 2015 and IMTMA exhibition center in 2017. Both Mahindra & Mahindra and JK Tyre facilities are unique in nature because of the complexities in design and erection in their respective projects. IMTMA exhibition center was completed at India’s Silicon City – Bengaluru withvery unique and innovative structural design. This is the largest exhibition center building with clear span of 76 meters in India along all green building features incorporated during the design stage itself. This is the third time that Kirby has received this award in the last four years which demonstrates its leadership capabilities. The project was selected from among a total of 20+ nominations in this category in each of these years. This award distinguishes Kirby as one of the leading infrastructure companies in India, thereby enhancing its visibility to current and future customers. Kirby Building Systems - India, was awarded the prestigious D&B Infra Award for three years - 2013, 2015 & 2017 as the “Best PEB Project - Industrial Buildings (Implementation Excelence)”, for the project of Renault-Nissan Automotive India Private Limited in 2013, Toshiba-JSW Power Systems in 2015 and Alstom Bharat Forge in 2017 respectively. As the winner of three awards over last 5 years since the category was introduced in 2013, this award further recognizes Kirby and its capability to execute large and mega projects with excellent project management team through its SAP system. The ‘D&B Infra Awards’ recognizes leading infrastructure companies who have delivered exemplary performance in the construction, port, power, telecom and various other sectors. The awards are organized by Dun & Bradstreet, the world’s leading provider of global business information, knowledge and insight. Renowned industry experts and eminent professionals from infrastructure and allied sectors are part of the independent jury. 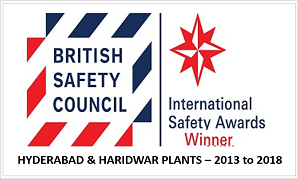 Kirby Hyderabad & Haridwar plants are regularly winning the British Safety Council Award as a Winner or Merit basis from 2013 onwards. British Safety Council (BSC) is world’s leading independent occupational Health, Safety and Environmental (HSE) organization. Based in London, with a presence in over 50 countries, the BSC works with its member businesses to improve HSE management, lobby for environmental reform, and assist with awareness campaigns. Kirby is utlizing the health and safety advisory services, training courses and accredited qualifications, as well as tools from BSC to improve health, safety and environmental standards within the business. Kirby's manufacturing facilities are implementing these practices in their day to day activities thereby further strengthening these areas to provide better quality work environment to all the employees. 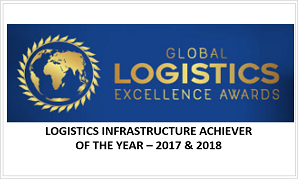 Kirby India was awarded with the Global Logistics Excellence Award in 2017 & 2018 under the category – Logistics Infrastructure Achiever of the Year. This award was given to Kirby India for establishing international standard in the logistics industry by introducing Pre-Engineered Steel Buildings (PEB) technology for warehouse buildings across India in 1999 and leading the same over the last 18+ years. Kirby India was selected after rigorous evaluation based on its experience of setting up warehouses across different industry segments, dominant market share, advanced technology roadmap, prominent achievements, customer satisfaction, market perception and brand recognition. The judging panel was comprised of some of the most prominent business leaders from different industries and further evauluated by the Tata Strategic Management Team for its excellence in PEB. Pioneered by Kirby, the concept of PEB in the logistics industry has become very popular among all the clients & end users, including entrepreneurs, corporate offices and small to medium enterprises, who are giving PEB as their first choice of preference. The Central Government and State Governments are also issuing tenders to set up warehouses and cold storage units for food grains, vegetables, and other commodities across rural and semi-urban areas using only PEB technology. Kirby India has been conferred with Business Excellence & Research Group’s (BERG) Icons of Spaces Award under two different categories - Commercial Project of the Year 2017 for Phoenix Spaces, Hyderabad and Industrial Project of the Year 2017 for Cipla Ltd, Sikkim respectively. The 4th edition of BERG Real Estate Awards held at Raffles Town Club in Singapore, aimed at highlighting Sustainable Development which was coinciding with the International Green Building Conference (IGBC). The event had visitors from real estate / property sector which included developers, architects, interior designers and other service providers from India and South East Asia. Kirby India’s projects were selected based on the successful completion under challenging conditions with complexities across design, manufacturing and installation. Both the projects involved integration between existing concrete building and steel structure which was very well planned and executed thereby resulting in bagging these awards after a rigorous evaluation process. Phoenix Spaces project at Hyderabad, Telangana is a G+7 commercial building and Cipla Ltd project at Sikkim is a pharmaceutical facility executed in one of the high terrain areas. Kirby Building Systems, one of the world's largest suppliers of pre-engineered steel buildings, left an indelible mark in the EPC industry by winning the prestigious EPC World Awards in 2011, 2013 & 2014 as “Outstanding Company in Pre-Engineered Buildings” from EPC World Media. 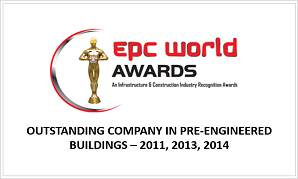 EPC World Awards has evolved as a national platform and is one of the first industry recognition awards in India. The winners of EPC World Awards have been selected through rigorous due diligence by an expert panel of jury from India's infrastructure community. Kirby Building Systems India was awarded the Era Fame Award 2013 for “Outstanding Contribution to Pre-Engineered Building”, at an awards ceremony held by the Era Fame Media Group on 20 September 2013. The awards have been introduced for the first time and serve to recognize outstanding accomplishments across a variety of areas. One of the winning factors was Kirby’s focus on technological innovation. Kirby’s expertise in completing projects across diverse industry segments also contributed to its win. Alghanim Industries was awarded ‘Best Corporate Governance Kuwait - 2012’, by World Finance, a London-based, international finance magazine. With this award, World Finance recognizes Alghanim Industries for its excellence in the field of corporate governance and its efforts to go beyond the formal regulatory requirements for the benefit of its various stakeholders. This Corporate Governance award specifically highlights the company’s high degree of fiscal integrity, thorough oversight, effective use of internal and external audit functions, and high levels of disclosure and transparency. 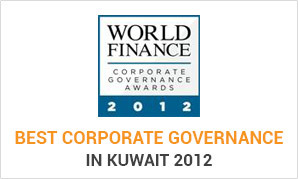 Alghanim Industries was the only company in Kuwait to be selected for the 2012 Governance awards. Kirby Building Systems has been awarded the prestigious Greentech Environment Award 2011 and Greentech Safety Award 2011 and 2012, for its Hyderabad Manufacturing Facility in the Silver Category. The Greentech Foundation Award is reputed for its stringent quality standards, and credibility, and for honoring the proactive practices of the awardees. Greentech Foundation’s Environment Excellence Awards are presented to organizations &and individuals as a mark of in recognition for the significant contribution made towards protection, preservation and improvement of the environment. The Greentech Safety excellence award recognizes the safety initiatives conducted by the companies within the industry. 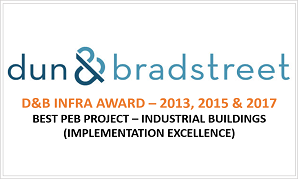 Kirby Building Systems India Ltd., has won the prestigious Infrastructure Excellence Award 2011, in the category - ‘PEB Project of the Year’. The company won the award for successful implementation of the single largest PEB building in the world, “Renault Nissan Automotive Pvt. India Ltd.” The project involved over 20,000 MT of steel with a covered area of 300,000 sqm. The trophy was presented by Shri Sushil Kumar Shinde, Hon’ble Union Minister for Power, Government of India. Mr. D Raju, Vice President - Kirby India & Southeast Asia , accepted the award at the felicitation ceremony on 19 April 2011, in New Delhi. 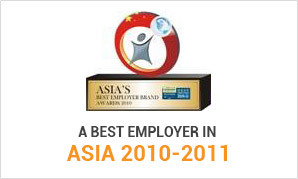 Alghanim Industries was recognized by the Employer Branding Institute and the World HRD Congress as one of Asia’s Best Employer Brands for 2010-2011. AI has been identified as a company that places a high degree of importance on selecting great talent, and has created a meritocracy that focuses on talent development and succession planning, where employees can fulfill their career aspirations. The Employer Branding Institute selection committee considered over 19,000 entries from 24 countries as part of this awards program. Alghanim Industries' CEO Omar K. Alghanim commented on the occasion, stating, “We are tremendously honored to have been recognized as one of Asia’s Best Employers. This award is a testament to our employee-focused, performance-based corporate values system which encourages a culture of meritocracy, team work, empowerment, diversity and respect throughout the company. It inspires us to continue to build on our successes and ensure that these values remain an intrinsic part of the company’s culture." Alghanim Industries was identified as a company that leads the region in establishing a performance-based, employee-focused work environment. The Aon Hewitt Best Employers study is the largest and most comprehensive employee-based study ever conducted in the Middle East, involving over 250 companies from twelve different industry classifications and representing input from 150,000 employees. Alghanim Industries' CEO Omar K. Alghanim commented on the award, stating, "We are honored to be recognized as a Best Employer in the region. Receiving this prestigious honor brings us one step closer to realizing our vision of becoming the most successful and admired company in the region."